ABSS Accounting Malaysia ~ What's new in ABSS Payroll v9.1? Home » Solutions » Payroll » ABSS Payroll – Malaysia v10 » What’s new in ABSS Payroll v9.1? contains the total contributions in the ASSIST Portal prepared by PERKESO. 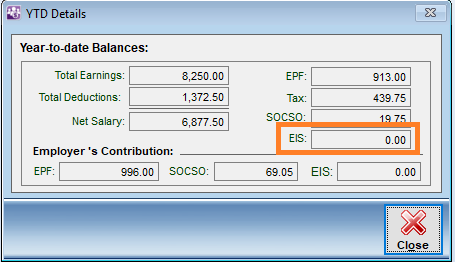 calculate EIS in 1st Half or 2nd Half of the payrun. register for EIS contribution by submitting the form EIS (Borang SIP 1). The blank excel format Borang SIP1 in release v9.0 is now replaced with system generated format. employer contribution: “YTD Employer EIS”. 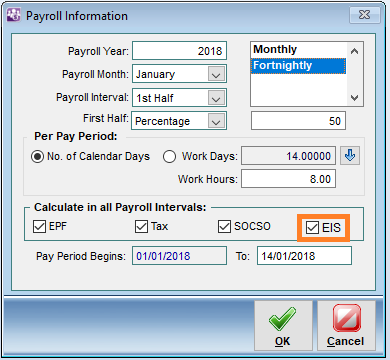 Payroll Register Summary report – enlarged field length for EIS grand total amount.